What to get into first? I have so much to share! I was lucky enough to have the morning off and planned to get to the LCS before it opened – waiting outside the door until they opened the doors, rush inside and get my issues. But it was raining – so I just waited in my car until the neon “OPEN” sign came on and then strolled into the shop. No rushing needed – as I was the only one there. But that’s alright – I was still excited! I knew there were quite a number of variants to get – 7 covers in all – and I had the manager putting them aside for me – so I wasn’t worried about getting them all. But I was interested in picking up quite a number of blank covers because I am working on something… secret right now! So, what do I discuss first here? Story? Art? The variants? Let’s start with just that – the variants! The regular cover has become well known now as it’s the same art that was used in all of the promotion for the re-launch. 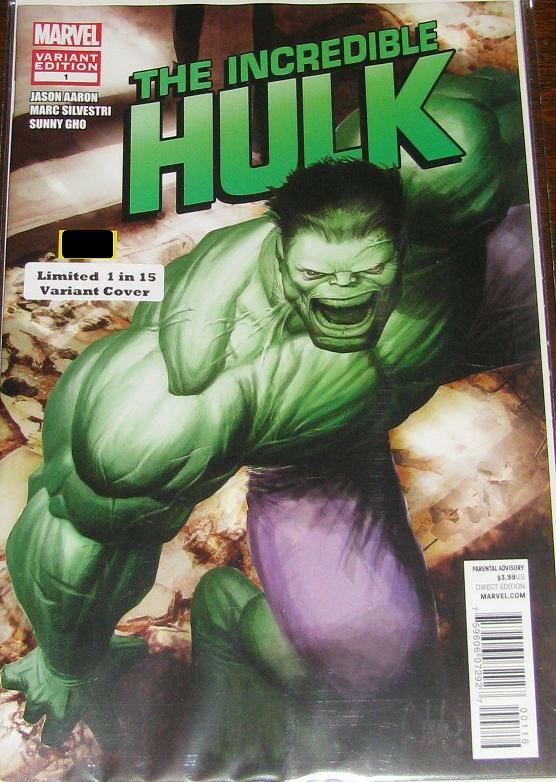 My favorite cover is the 1:15 Ladronn Hulk cover. 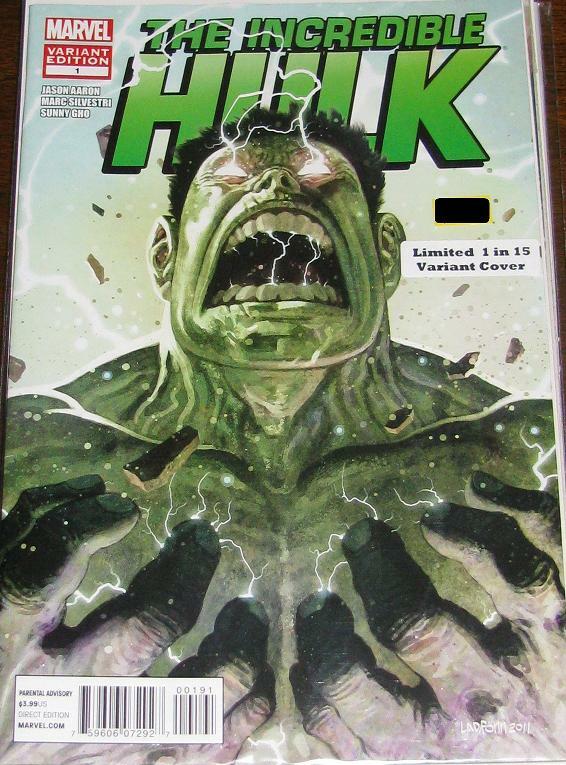 The sheer intensity of the illustration screams out “Hulk!” Another – the Neal Adams cover – is a cool idea but I think the face sort of ruins the whole cover. Portacio’s art is… what it is – a decent cover. Some say it’s a “3 per retailer” variant – and others have it listed as a 1:15. Either way, I have it. 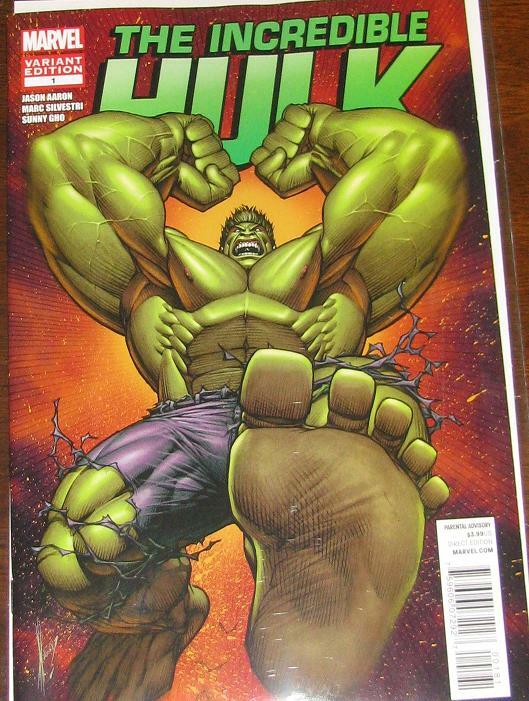 The Keown variant – a 1:50 – is an amazing shot… of the Hulk’s foot. I know what he was going for here – but it doesn’t work. 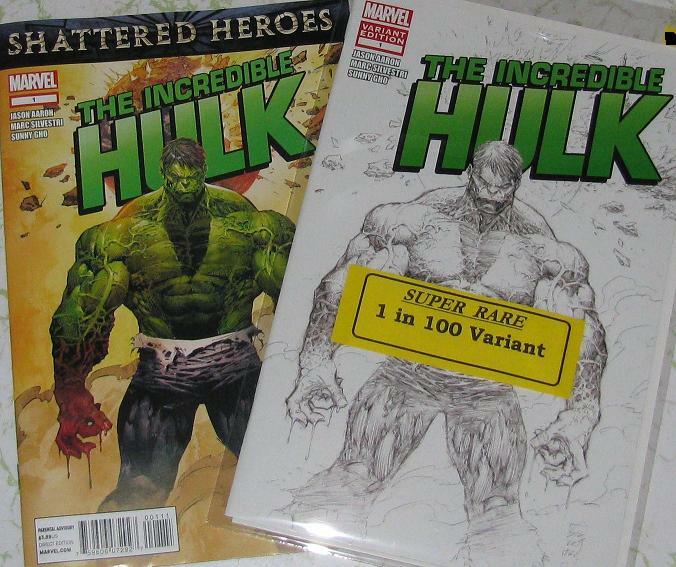 The story is an interesting one – I didn’t read very much of the Fear Itself event – didn’t really interest me – but I do know that the Hulk and Banner were separated. 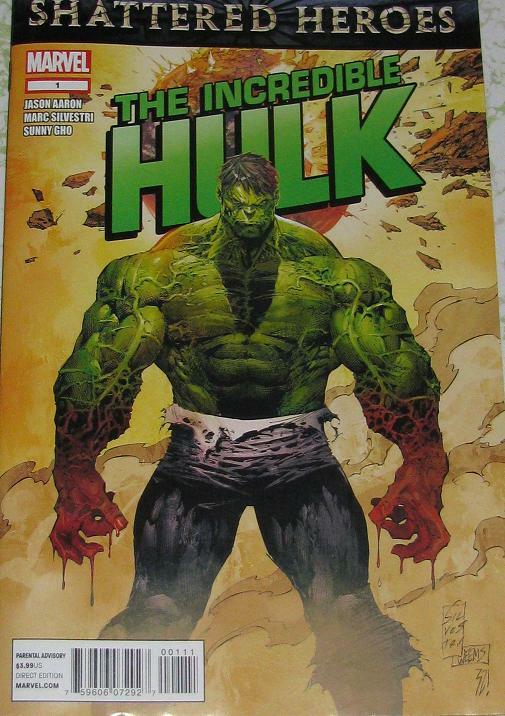 Aaron has made a curious and enthralling debut with the Hulk being asked to stop the one thing more dangerous than himself – and that’s… himself. Or, his other self. Banner. He’s asked to stop Banner. 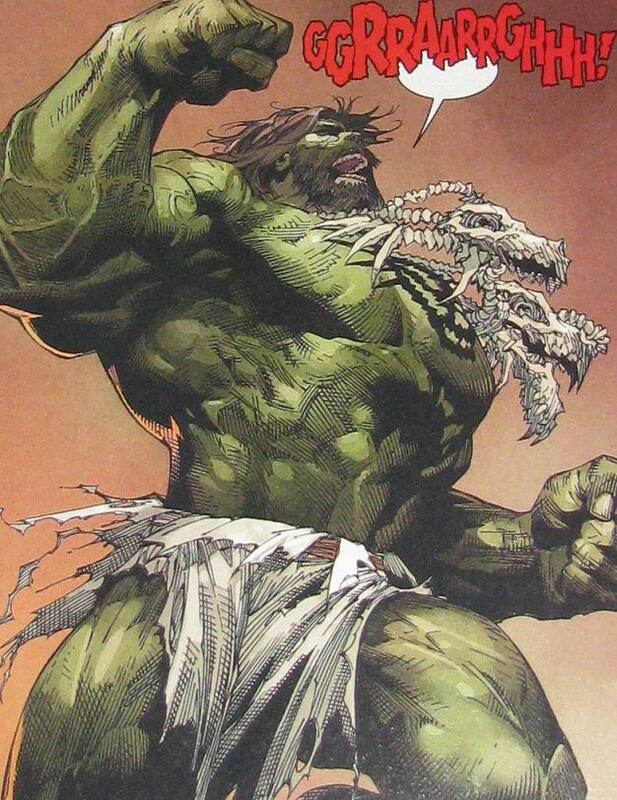 Banner looks as though he’s gone a little batty – trying to make himself another Hulk. 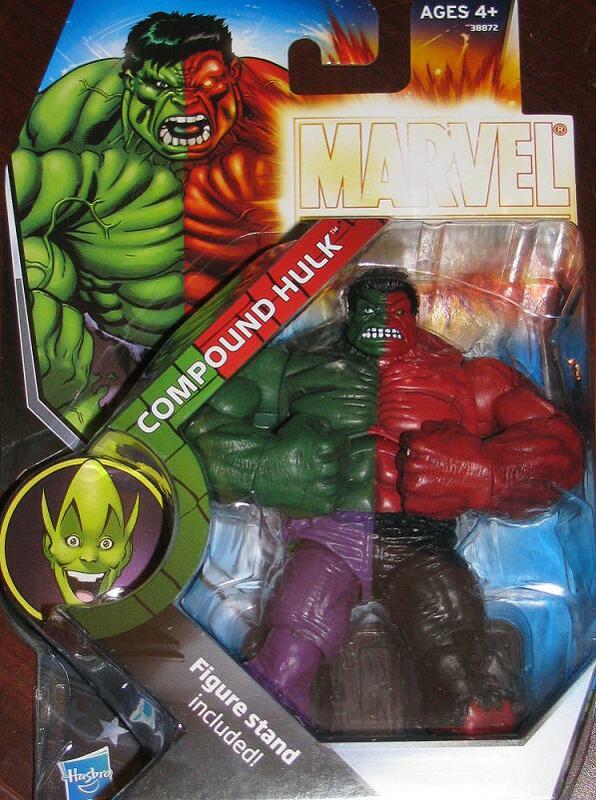 A few years ago we could have all said “That was a unique set of circumstances that could not be duplicated – Hulk is one of a kind” but of course, that is all ruined now (thanks Joey Q and Loeb – please, do me a favor, punch yourselves in the face) because MODOK and the Leader created the Red Hulk – who is basically the same character – just red. So why can’t Banner? But whatever – like I said, Aaron has written an interesting jumping on point. The art – I wasn’t so jazzed about. 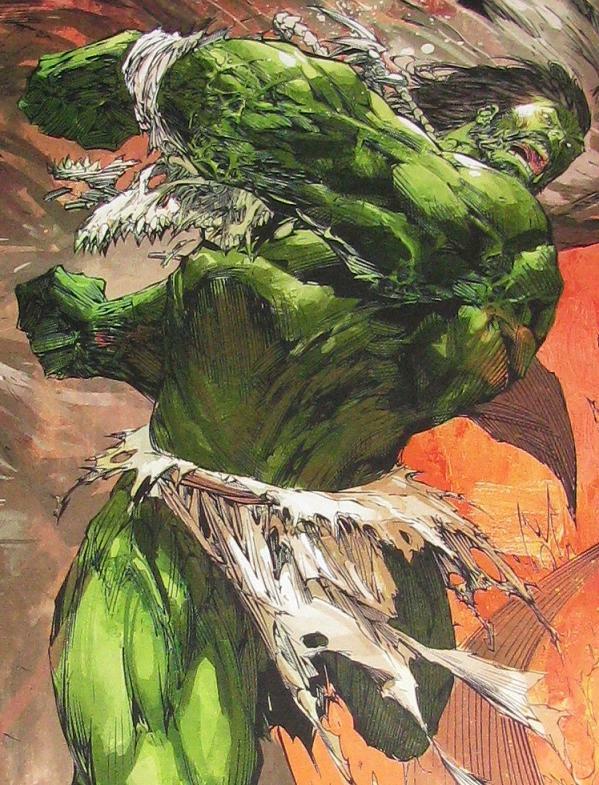 Silvestri is a great artist, don’t get me wrong, but he’s NOT a great Hulk artist. There are some great looking pages – and others… not so much. I did dig the Dr. Moreau feeling that Banner’s lab had to it – but I was underwhelmed with the issue’s art overall. And that’s all I will really say about that. 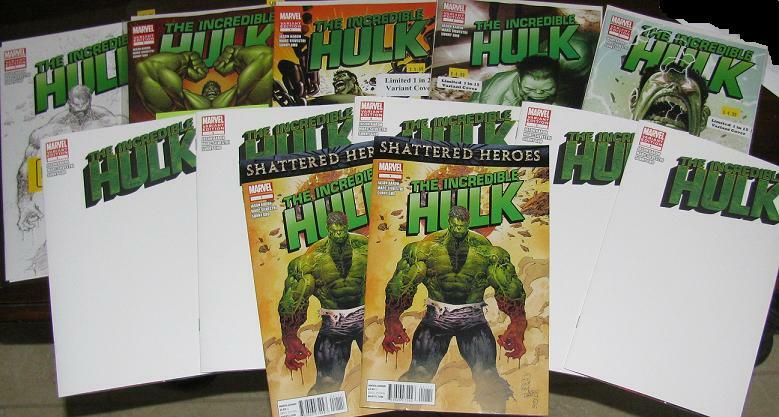 I’ve had… OH HEY – HULK #1 COMES OUT TOMORROW – EVERYONE GET IT! Now back to the post… this guy for a little while now – I really am not looking to get commissions – I am more interested in picking up published art these days. If I see an artist offering a great deal sometimes I take the plunge. Brent Peebles was giving a great deal to some of the members on Statue Forum and I jumped in with both feet! 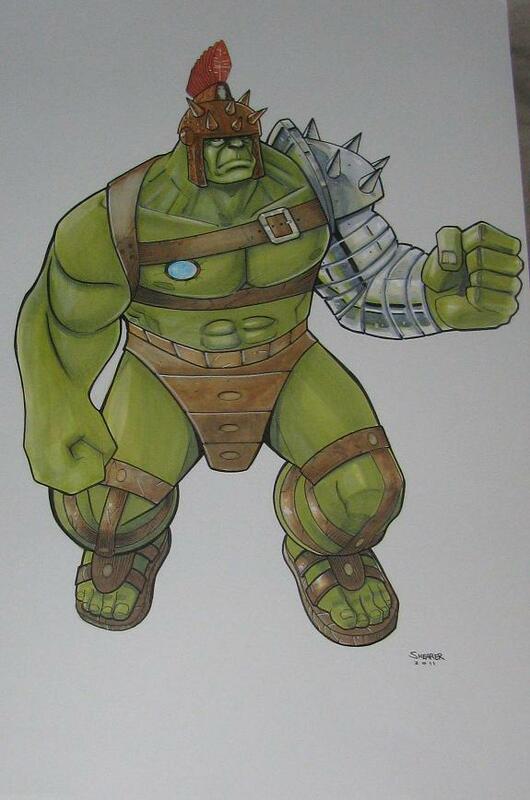 I may start looking into getting different versions of the Hulk but mostly, these days, I am curious to see what people can do with either the Classic or Planet Hulk. The one thing that grinds my gears is artists who don’t do any research on the character you ask for – I mean, it’s their job, isn’t it? Well, Peebles obviously did his- because PH has the armor, helmet and the obedience disc – you would NOT believe how many artists forget the disc! Reading through the comments about each issue is like slicing a knife through each of my eyes and squeezing lemon juice in the holes! Seriously – did this guy even bother learning ANYTHING about the issues he chose? 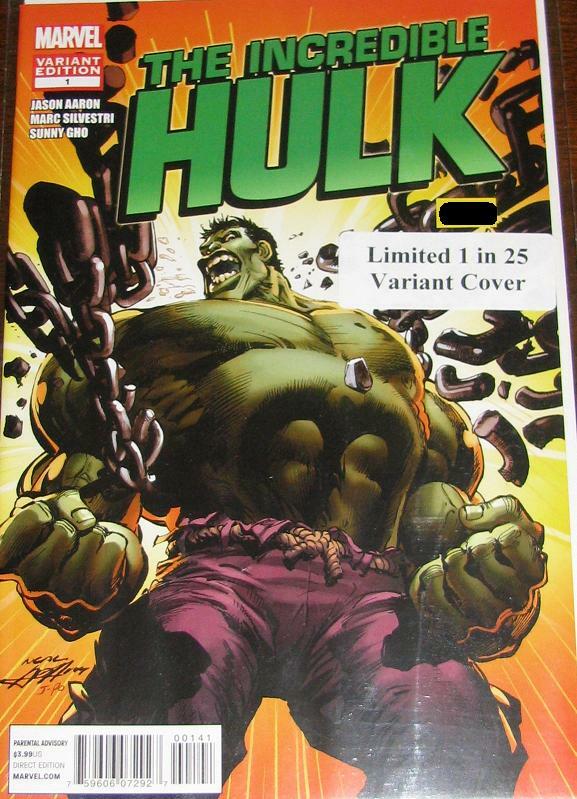 You have to read it for yourself – so click the image for the article – but just remember – especially when he makes the “Afro Hulk” comment – this guy had to be the worst person to write an article about the Hulk… ever! 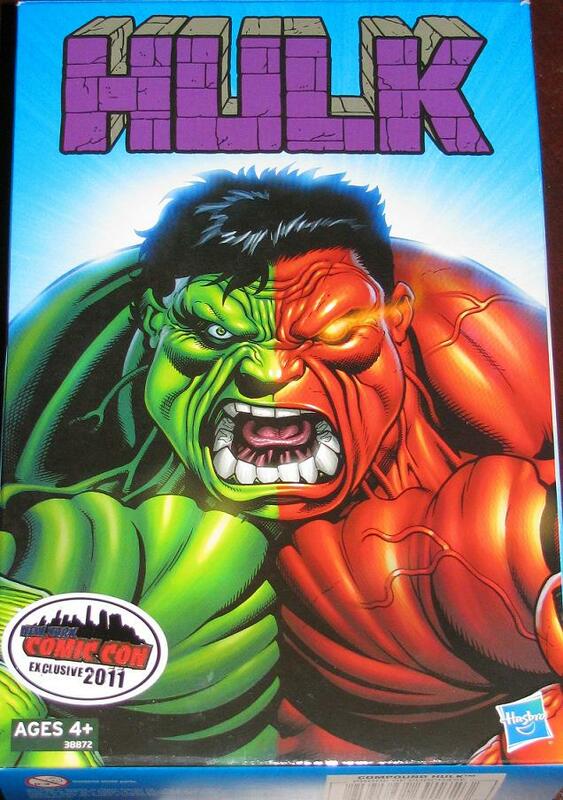 Yes, the new Hulk MM volume is out. 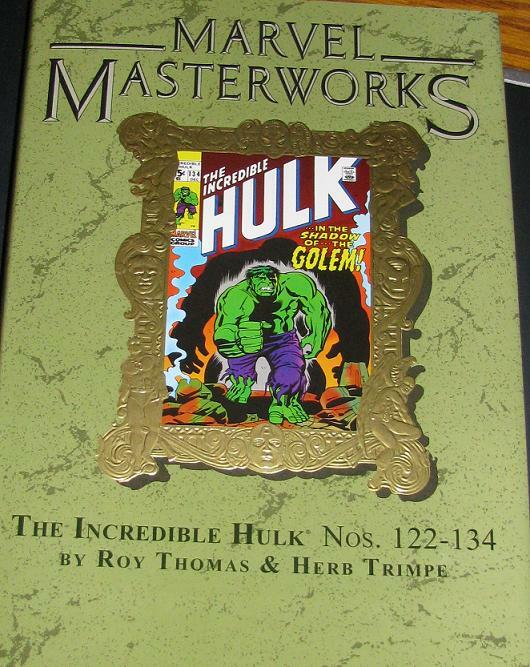 I picked up the gold frame cover (#167) and they are now getting into one of my favorite era’s of the Hulk. Trimpe is really getting his confidence in drawing the Jade Giant in all of his glory – and the Leader is ever present! For me, there is not a miss in this collection – every story is amazing – pick up this book, is you can! I just finished the last Defenders MM so this came at a perfect time – I don’t get a whole lot of time to read extra stuff. It’s funny – I like the Omnibus format but haven’t touched it because I read the issues a few times over in other books. This is why I LOVE the MM books – these I can take with me anywhere – and when I find a myself with a few extra minutes before I have to do a job – I crack open a MM and go into my job with a great attitude! It was because of the generosity of one of the readers of this site that I was able to show you the one in this post – thank you Tbear! – but I was also contacted by a member of the SF a few days later that he also picked one up for me! An extra? Sure! Thank you! Not even a couple of hours later, my friend Corry, from Zapp Comics, let me know he also had one reserved for me. 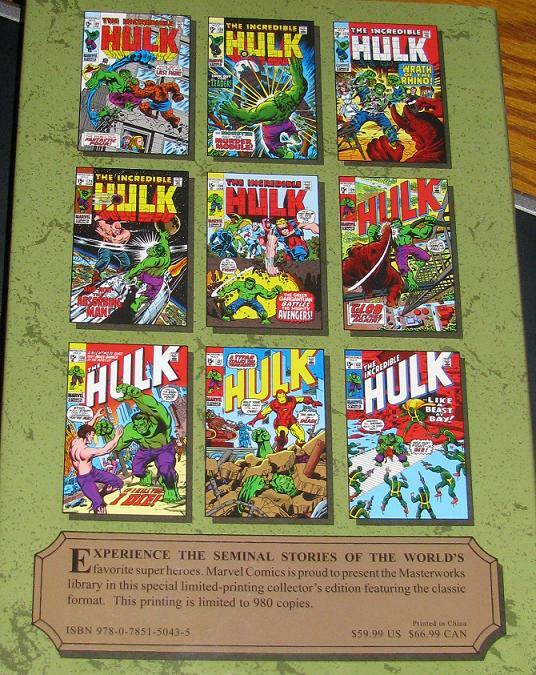 So yes, dear readers, I am a fortunate man – one with friends in all the right places… for Hulk collecting! As for the figure – it’s a pretty decent variant – one that, I think, will be sought after. Right now there are plenty on ebay – but when those dry up watch as the prices rise. 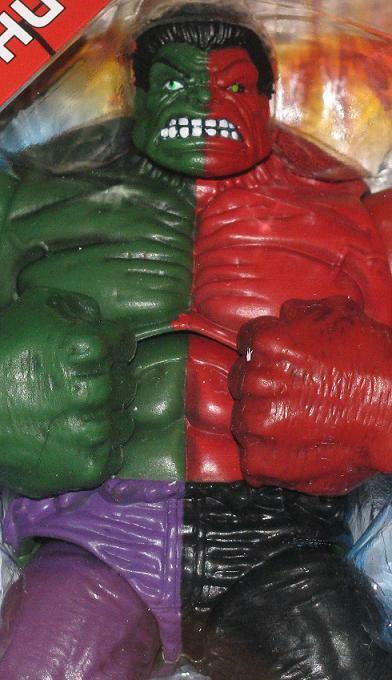 Thanks to all who were able to assist me in getting a figure – like I said – at the moment I only have this one to speak of – but I have faith that the others will land in the Hulk room. 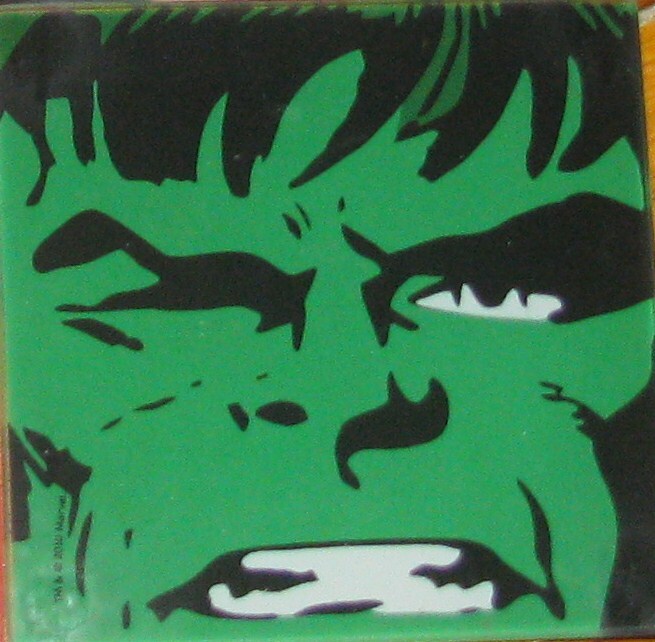 Just to let you all know, I will be opening one – and the last is already spoken for by a Hulk fanatic I am helping out. Yes, one hand washed the other – or in this instance – One figure is passed from one fan to another! Lex is ready for Halloween! 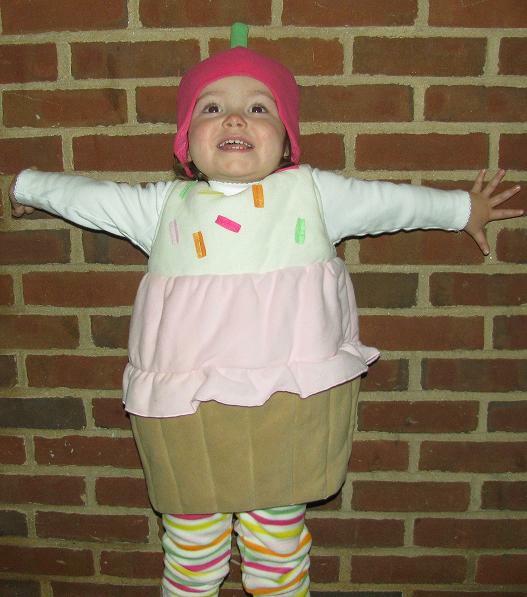 Since my last post – I only think it’s fair to share a few pics of my daughter (in her new Halloween costume, yes – she’s a cupcake) for you all to see. Three posts already done for next week… see you Monday! 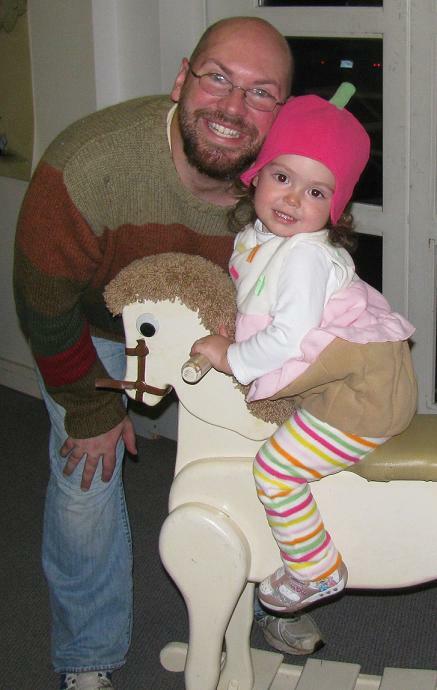 Me - and the little light of my life! I wish I had more time to post everything – my life was totally different when I first started this blog – I didn’t have a child then, of course, and now I do. She is the light of my life and if I am not working on one of the thousand different projects I am currently pursuing I am taking my daughter to the playground, having a lazy morning with her watching Mickey Mouse Playhouse and eating Fruit Loops and bananas. I am having the time of my life. One thing that has made it easier is that I no longer receive emails about posting on this site – making me feel like I am letting people down. I wish I had time to post more – but it’s nice to know that people still come to this site to check out the Hulky goodness I have – even though I am not posting like I once did. So, here’s my promise to the fans of this blog – I will continue to post whenever I can – whatever I have (as you can tell, last week I had enough free time to post almost everyday). I love to hear from you guys – so when I do post – make a comment – say ANYTHING – even if it’s negative, as long as it’s not rude – I will respond and continue to have a dialog with everyone out there. 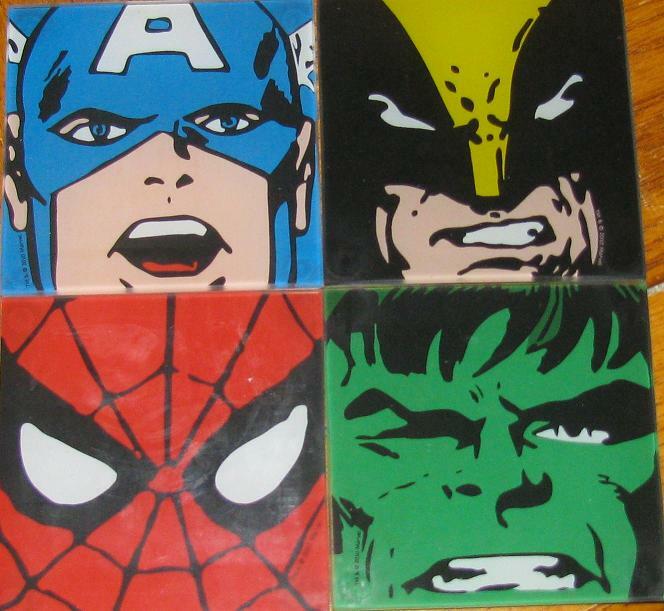 Anyways, I hope you made it through this rant – and yes, those are Marvel coasters – glass ones – I found these for a measly $2 at the mall and I have to admit… I kind of like the Wolverine one the best! I hope you enjoy! Talk to you soon!